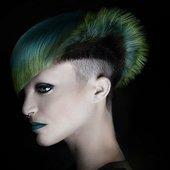 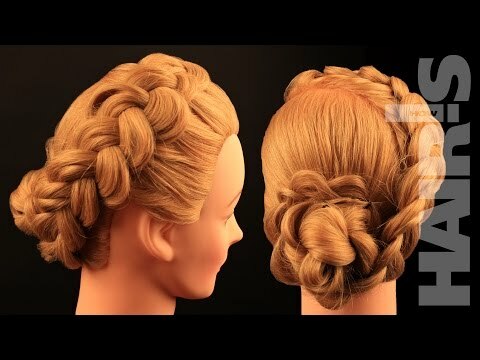 Step 1: Separate the top center hair with circular partying including the crown part. 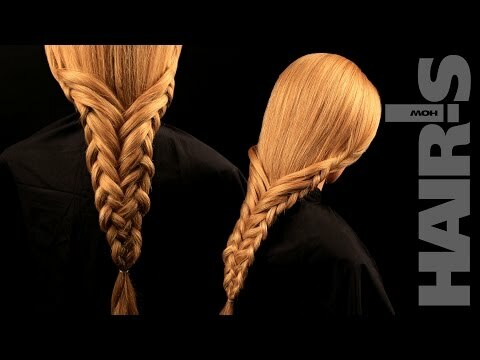 Put it into a ponytail. 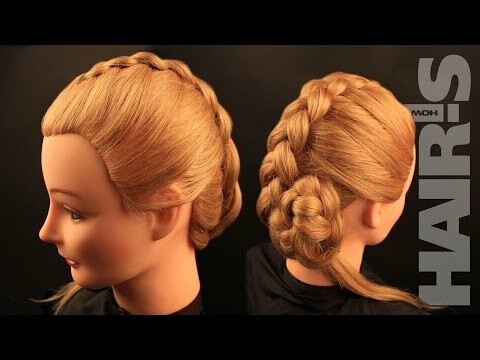 Step 2: Divide the hair in the ponytail into two and clamp the top part. 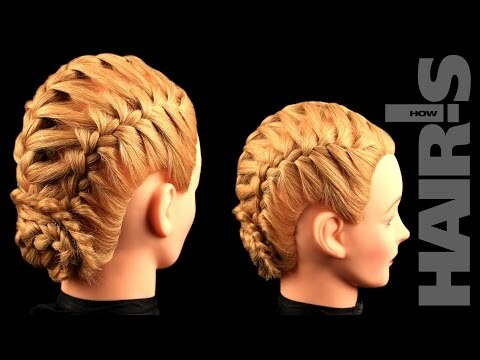 Also, clamp the hair on the right temple side. 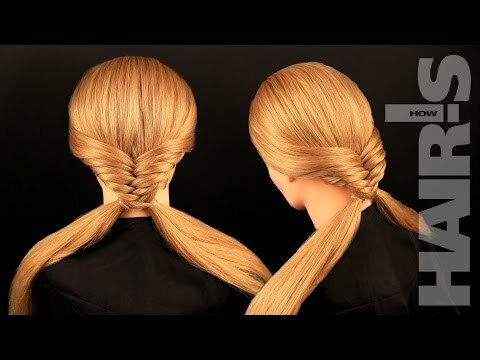 Step 3: Pick up a strand from the loose hair under right temple hair that you clamped and divide it into two. 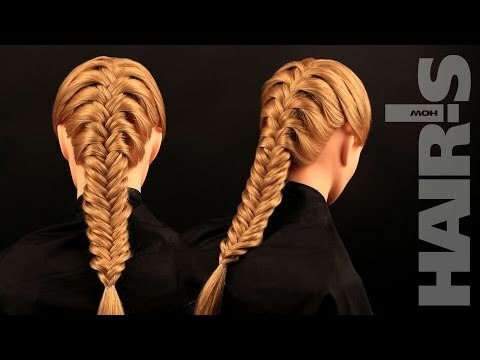 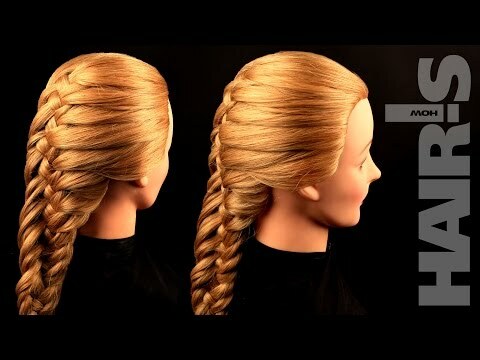 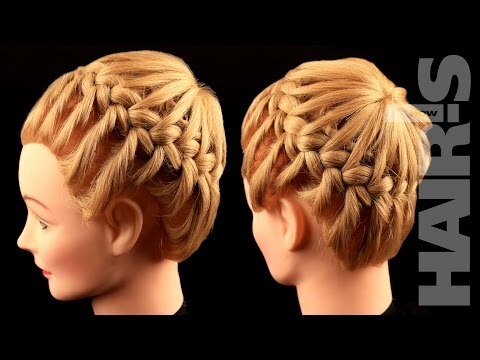 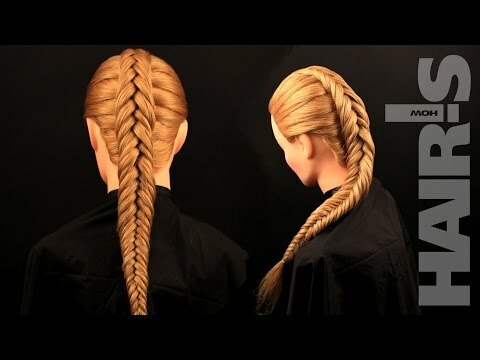 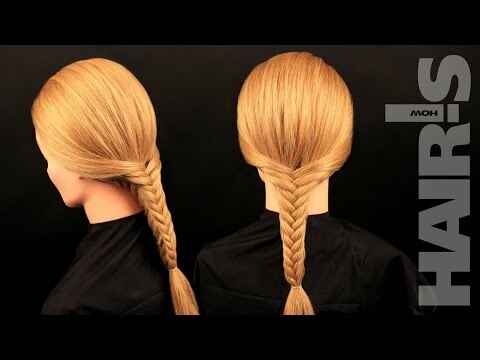 Pick a thin strand from the hair in ponytail and braid them together into a simple braid. 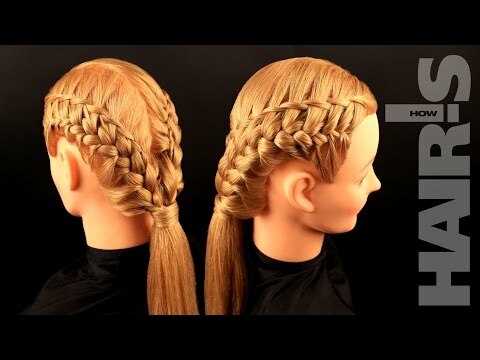 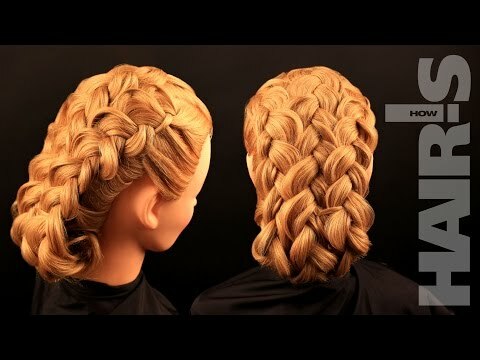 Step 4: Continue braiding a French braid but now with tiebacks, separating small strands from the ponytail and centrally loose hair underneath. 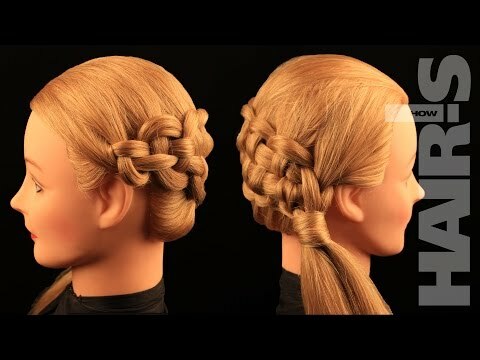 Step 5: Start using the clamped hair from the ponytail while braiding in hair from the left and front sides. 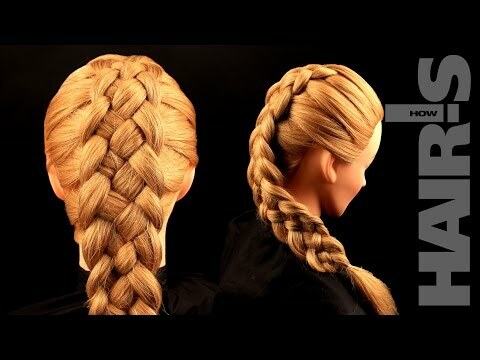 Step 6: Finish with a simple down hanging braid. 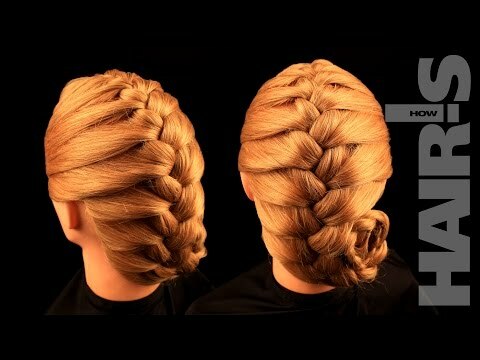 Step 7: Secure the braid with a rubber band. 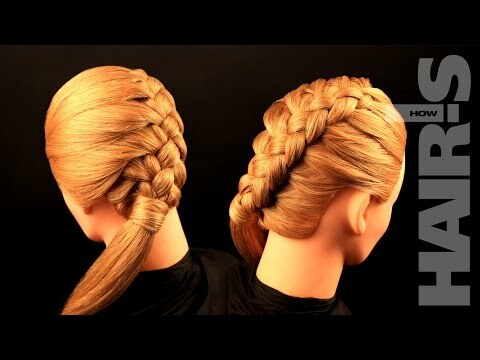 Step 8: Hide the tail of the braid inside the main braid and secure with hairpins.